In my younger days, my silky long mane was my pride and joy. Then I had a baby. For years thereafter, various hairdressers have told me that my hair was too dry. They stopped short of saying that it resembled a bale of hay. Admittedly, the first few years of dealing with Little L left me with barely any time and energy to pamper myself. I started ditching the conditioner. Sacrilege! That's not all. My skincare routine became shorter and shorter to the point where a splash of water would do the trick instead of using a cleanser followed by a quick smear of whatever cream within arms length. Three months ago, I decided enough was enough. I was sick of my hair and skin but the latter requires another long post so I won't bother going into it today. After scouring the web for the best hair product in the market, I settled on Philip Kingsley Remoisturizing Shampoo and conditioner. It's not cheap. 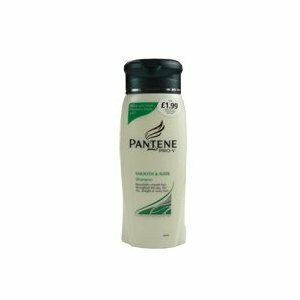 A small 250ml bottle costs £11.90 and the conditioner costs a further £14.45. For the first time in years, my hair felt bouncy and soft. But then, replenishing my supply every 3 months became a costly exercise. So I switched back to my all-time favorite which I haven't used for a million years. Good ol' Pantene Pro V Smooth and Slick shampoo and conditioner. Superdrug was selling them for £1.75 for a 400ml bottle. Would you believe it? It had the same result as the more expensive Philip Kingsley set. 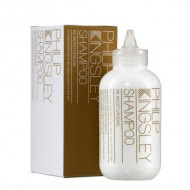 I also picked up a large bottle of Philip Kingsley Elasticizer after reading rave reviews about it. A couple of squirts (or less if you have short hair) and rub it into your hair (not scalp). Leave it for anything up to 10 minutes or more, if you have extremely dry hair. Wash it out and shampoo and condition your hair as per normal. I have to say, the Elasticizer ROCKS! Again, it's not cheap but right now, I'm lovin' my soft and shiny hair. By the way, you'll find the bigger bottles far better value for money.